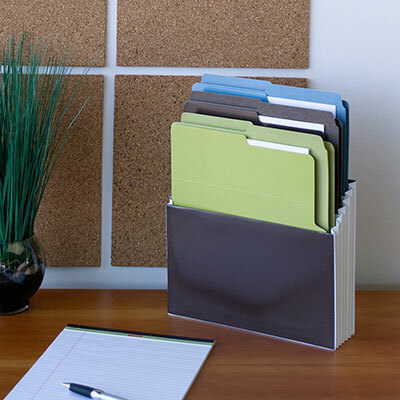 Turn piles into files with this space-saving desktop organizer that lets you see your files at a glance. 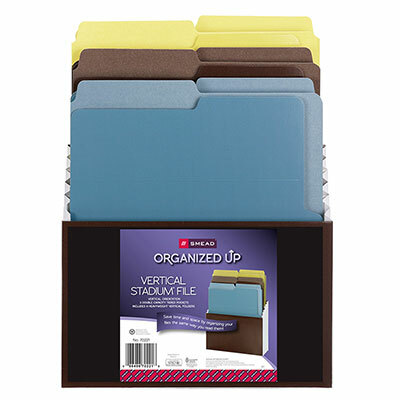 Organized Up Vertical Stadium File lets you organize and file your documents upright like you print and read them. The three double-capacity, tiered pockets are fixed so your files stay visible. 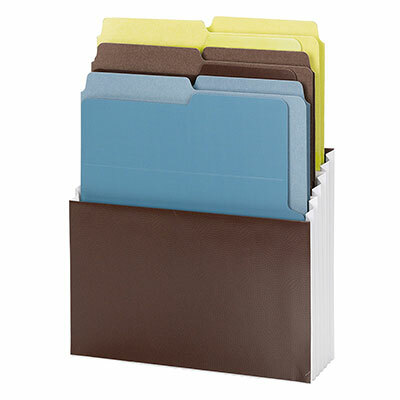 Included are six Organized Up heavyweight vertical file folders. 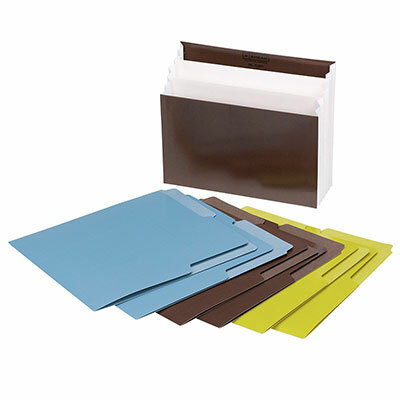 Folders are made of a heavyweight material for durability and are closed on two sides for extra security. 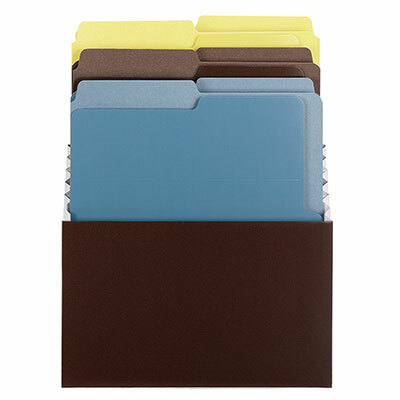 Letter size folders feature dual tabs for both vertical and horizontal use—perfect for desktops, backpacks and drawers. 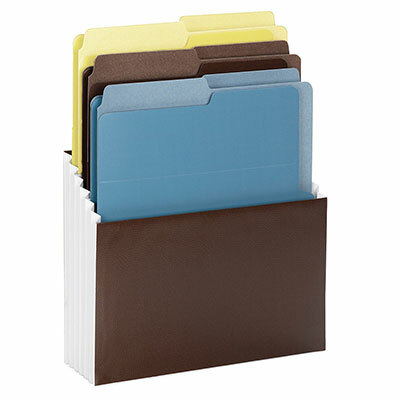 Each folder holds up to 25 sheets.